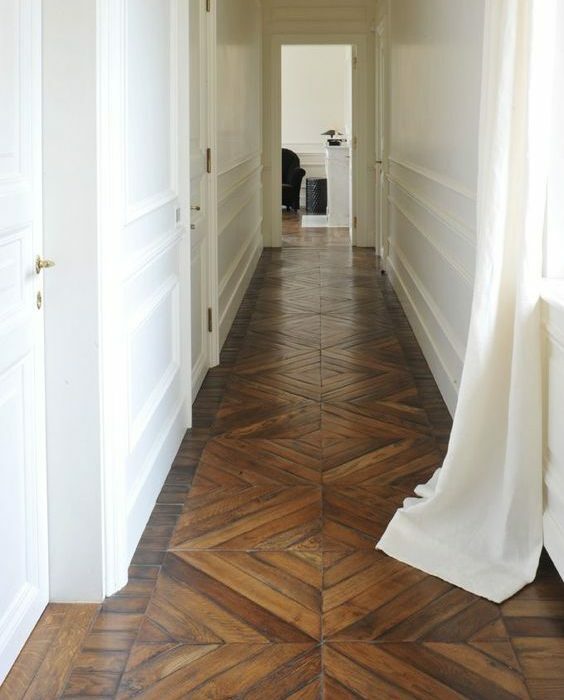 Before choosing your carpet, have you considered a parquet floor? This interior design classic works just as well for a modern and contemporary designed home as a traditional one, and can be laid in any room or space. If you would like a room to look larger, using a herringbone pattern gives the impression of scale and for big rooms, using larger pieces of wood gives a sense of proportion. The results will be the same, a sense of warmth, texture and elegance. 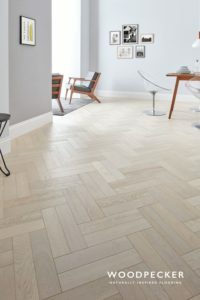 Durable and hard-wearing, the parquet floor is a perfect choice for busy households. Maintenance is very straightforward – simply hoover and run a damp cloth over it and it continues to look stunning. 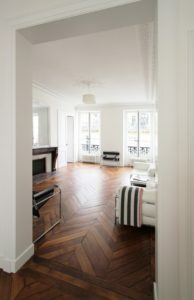 Often made from hardwood, the parquet floor can withstand heavy furniture and the constant traffic of family life. 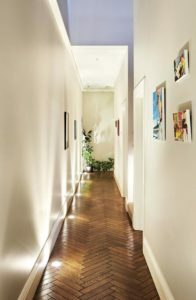 A parquet floor is a design feature in the house that transcends all generations. The versatility of material means that you have so many shades to choose from including the bleached Scandinavian look or the darker, liquorice shade that we often see in high-end hotels or chic loft apartments. The best thing about this material is that you can match the timber to complement the overall style of your home. 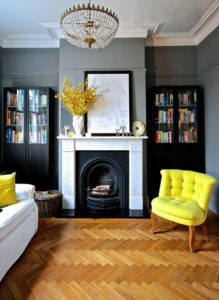 If in the future your style changes, sanding down, varnishing or staining in a different shade is a brilliant way of not neglecting the floor when it comes to an interior overhaul. Costs can certainly vary and it often comes down to material. Using a natural material is the more expensive option, but there are some great vinyl options on the market that can give the same visual impact. 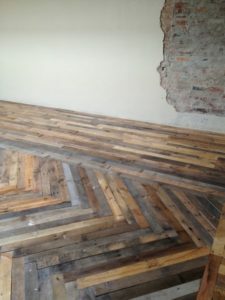 Alternatively, you can source reclaimed parquet flooring in many reclamation yards or online.